So, a million years ago I went to the land of wonderment and amazingness, otherwise known as Paducah, Kentucky. In Paducah, water is crisper, leaves are greener, the pizza always has extra cheese, the babies don't cry, the men look like George Clooney, and the air smells like peppermints. Oh and also . . . there is FABRIC. Shortly after this trip of wonder and amazement, I started packing up my home in order to move, and I never posted pictures about my haul. And ohhh, a haul it was. 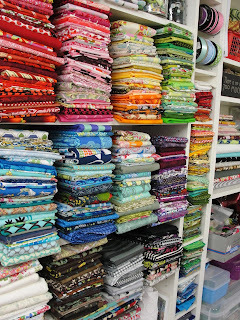 I'm almost embarrassed to show the world the photos of the amount of fabric I bought, but honesty is key, right? 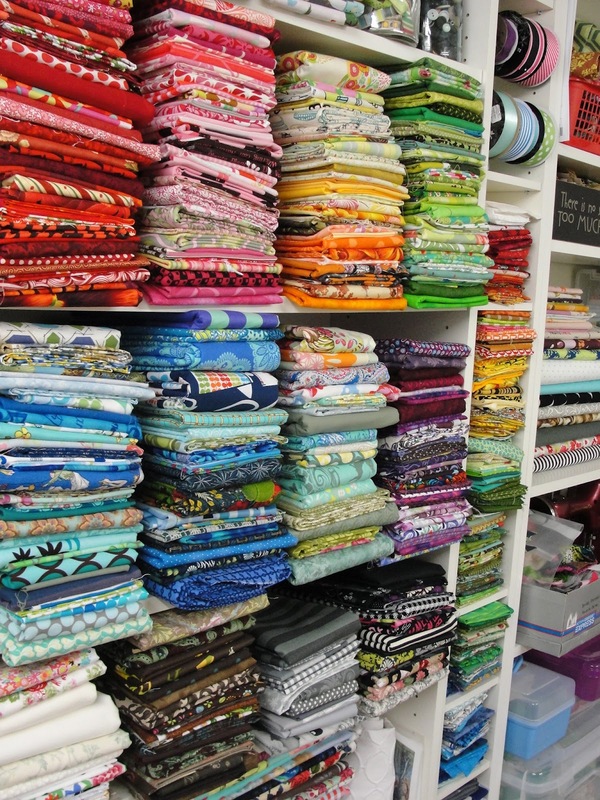 And what you need to know is that all of this was about $4/yard. So, yeah. All good. Happy stitching (and fabric hoarding)! Omg that fox fabric is the BEST!! those end bolt bins rock... I could sift through them all day! Gosh I miss that place. 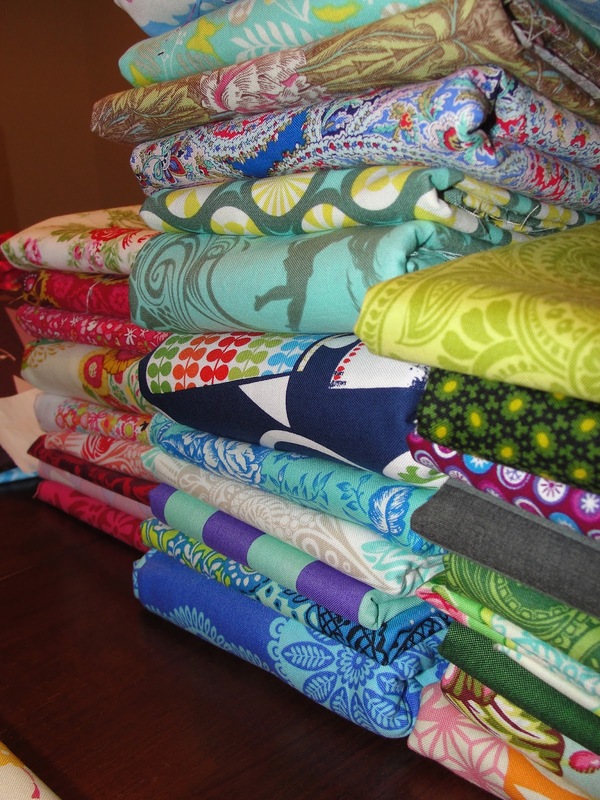 What a wonderful haul...love getting a great deal on fabric...TFS!